It (traffic) is going to get worse, a lot worse. Baltimore City as a whole might be treading population water, but the southeast waterfront neighborhoods are booming with development and downtown is adding many residents. It will mean a lot more people (cars) on the same sclerotic streets we have now. And of course, the granddaddy of them all, the 2.9 million square feet Harbor Point traffic Armageddon. All of the above projects will be finished or in progress before the Red Line even breaks ground. All these and future projects will increase traffic. When we put on our 2021 glasses, the year the Red Line is expected to be operational; all evidence points to SE Baltimore being a far denser and economically more important than it is 2013. People are often arguing about the Red Line based on 2013 transportation needs. That is unfortunate. The Red Line is about what we need to do today to be ready for 2021. Between today and 2021, there will be a lot of aggravated people stuck in intersections who will become Red Line converts. Hopefully, we are wise enough in 2013 to keep the project on track! 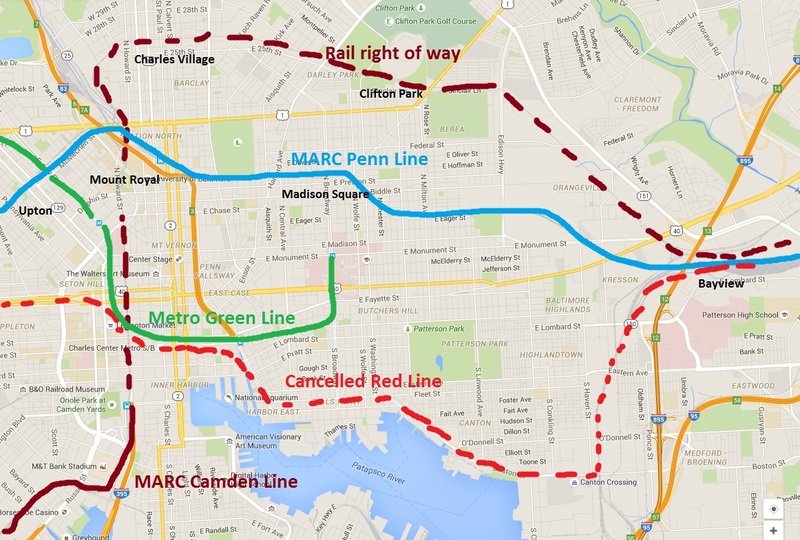 State transportation funding is coming down to the wire and Baltimore’s Red Line is at stake. Losing out on this $2.5 billion injection into Baltimore’s economy is one of the many reasons outlined nicely in this commentary. However, it’s also worth talking about the many ways the Red Line will help your parking situation especially if you live in or visit Southeast (SE) Baltimore. 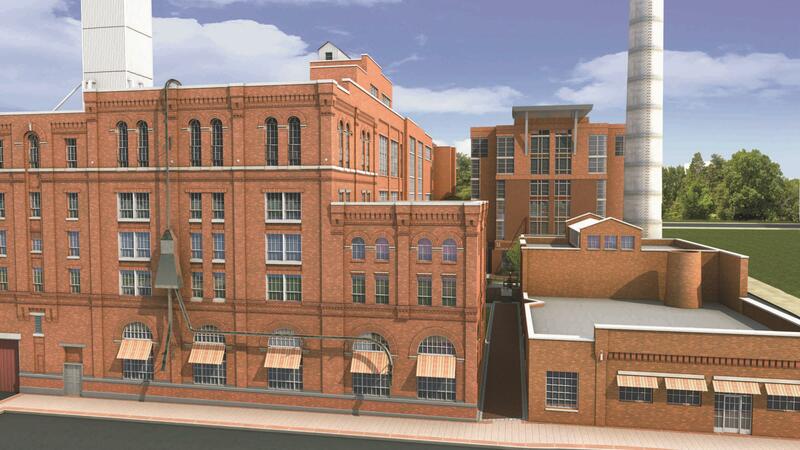 Everyone who has driven to downtown, Harbor East, Little Italy, Fells Point, Canton, and Greektown knows street parking is beyond a precious commodity and garage parking is expensive. 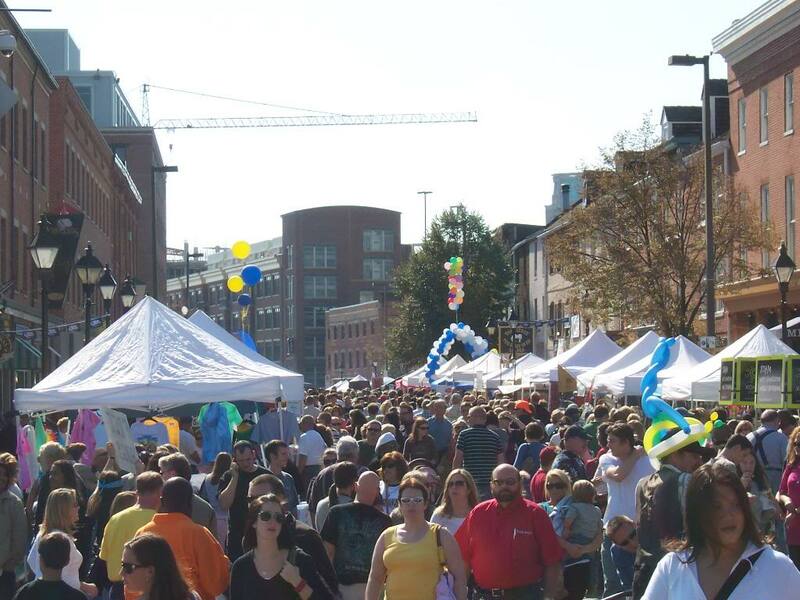 When there is an event like the Fells Point Fun Festival, parking is a nightmare. Everyday parking is no piece of cake either and has created regular tension between residents, businesses, restaurants, and retailers. The Red Line will help in a major way. If a meager four percent of the Red Line’s projected 50,000 daily users who would otherwise be parking on downtown/Southeast neighborhood streets are riding the Red Line instead of driving, it would free up 2,000 street spaces. 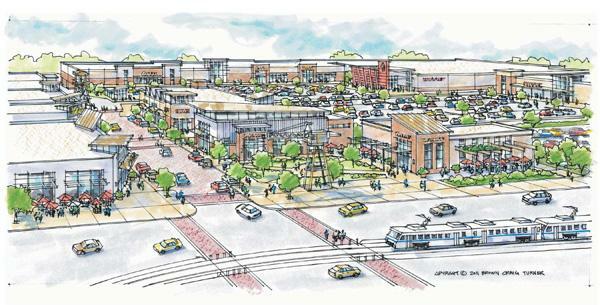 That translates to over thirteen acres of parking. 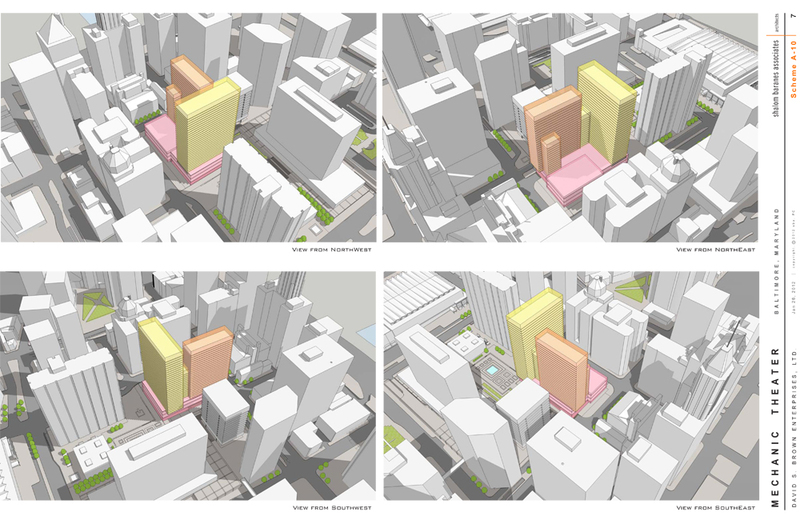 To build the equivalent amount of spaces in new parking garages would cost in the ballpark of $40,000,000 and would likely cost far more than a transit ticket for users to park. 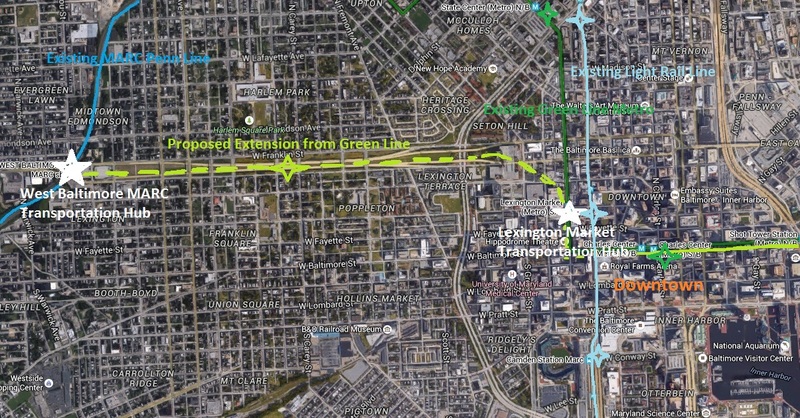 As an added bonus, Red Line users will generally bypass another Baltimore problem, traffic congestion, by speeding under the most congested intersections. For many in SE Baltimore, parking is their number one headache. Of note, much of the Red Line opposition in SE Baltimore comes from those with their own parking spaces. 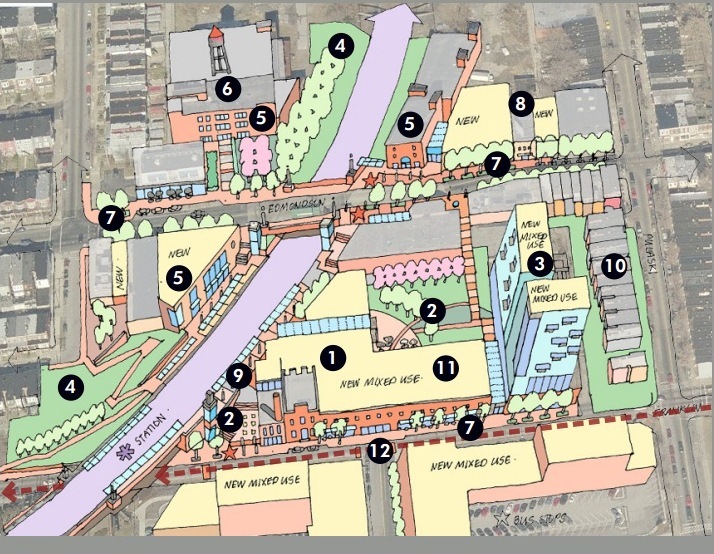 The Red Line is not going to solve parking scarcity in SE Baltimore, but it will be darn nice to have an another way to get around and an alternative to giving up a space that you may have worked very hard to find. According to Consumer Expenditures in 2006, released in February of 2008 by the US Department of Labor’s US Bureau of Labor Statistics, the average vehicle costs $8,003 per year to own and operate. Meanwhile, an annual MTA pass costs $768. Zipcars also provide an alternative to car ownership. Let’s presume 20% of the 50,000 Red Line daily riders decide they don’t need a car (or a second or third vehicle in their household). Assuming they all purchase a monthly MTA pass, that 20% of riders would collectively save more than $72 million per year. 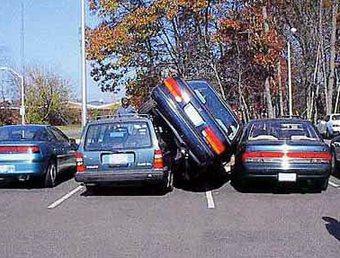 Of course, if you don’t own a car you don’t have to park it. then the Red Line might be exactly what you need! As this year’s General Assembly heads into the home stretch, it’s become clear that one of the most important economic development opportunities Baltimore has seen a generation could soon slip from our grasp. Baltimore is in dire need of a well-connected, effective public transit system. This is no small matter. Cities around the nation — most notably, our friends down the road in Washington, D.C. — are capitalizing on good public transportation networks to help attract residents, jobs, and investment. Certainly, Baltimore does have its share of transit now. But we lack a fast, effective east-west transit route; this fact severely impedes the usefulness and ridership of the overall network. There is a solid plan to fill this gap. 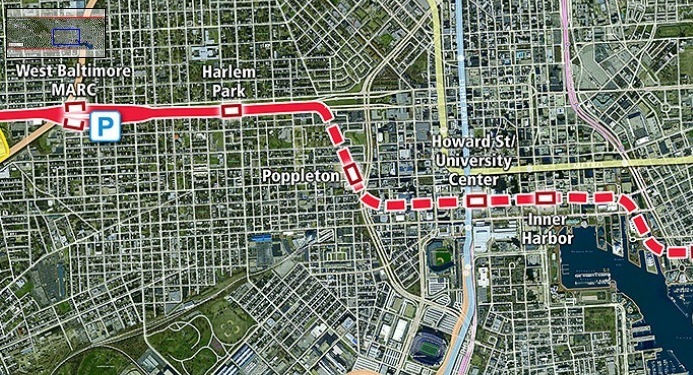 The proposed Red Line would connect downtown with the city’s east and west sides, meeting up with the Metro, the light rail, the MARC, and hundreds of employment centers along the way. The Red Line is a major investment in Baltimore and its people. It would be a boost for neighborhoods West and East, and it would connect the city in ways we haven’t seen in nearly a century. But because no funding source has yet been secured, we are in danger of losing the Red Line — this month. This would be a big mistake for our city. Baltimore’s legislators already have a heavy lift with school construction funding, the death penalty, and dozens of other issues. But I believe they can find the energy to address our transportation revenue issue. Why should we be standing up and demanding the Red Line? 1. Economic activity and jobs creation. 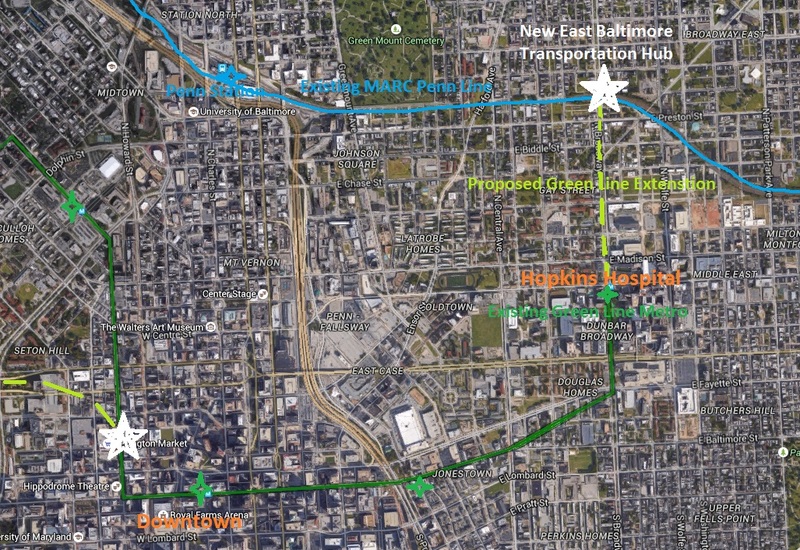 According to a study by the Jacob France Institute at the University of Baltimore, the construction phase of the Red Line is projected to generate more than $2 billion in economic activity, and nearly 10,000 jobs. 83% of those jobs would require less than an associate’s degree. This is relevant, because the Red Line’s community compact makes it a priority to create employment opportunities for city residents. 2. Jobs access for residents. 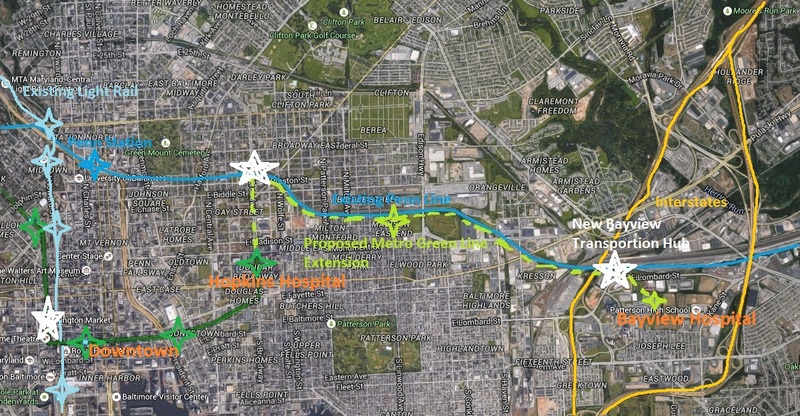 Once completed, the Red Line will open up useful transit access to hundreds of job sites, both along its east-west corridor and via connections to other transit routes. This will provide expanded employment opportunities for the 35% of city residents who lack an automobile. 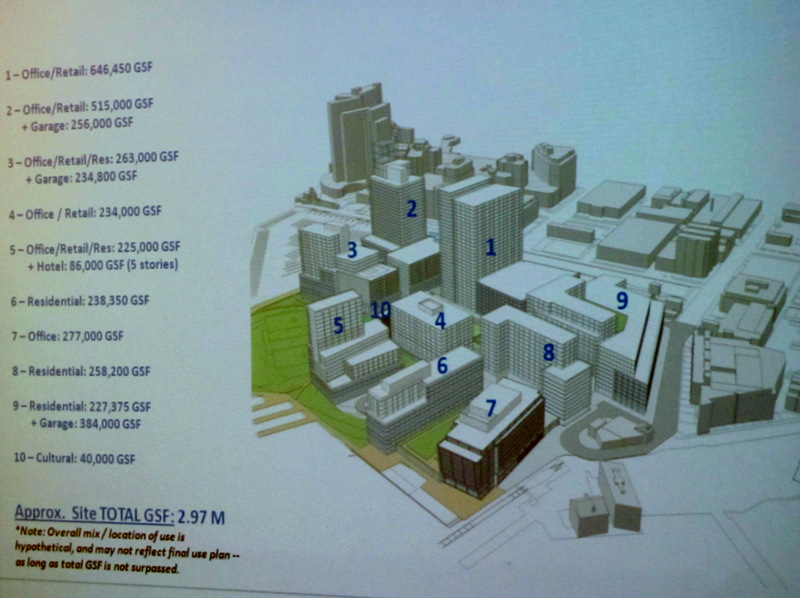 It will also make more areas of the city accessible and desirable for employers to locate. 3. Ability to compete. 10,000 families? Here’s a news flash: young people today are choosing to live in cities with transit. They’re bringing talent and energy, and they’re starting new businesses and families. If Baltimore doesn’t make itself competitive for these up-and-coming urban dwellers, we’ll lose them to a dozen other cities. It’s worth noting that in 2012, the District of Columbia, with its remarkable Metro system and soon-to-be streetcar network, leapfrogged Baltimore in population for the first time in decades. 4. Neighborhood revitalization. 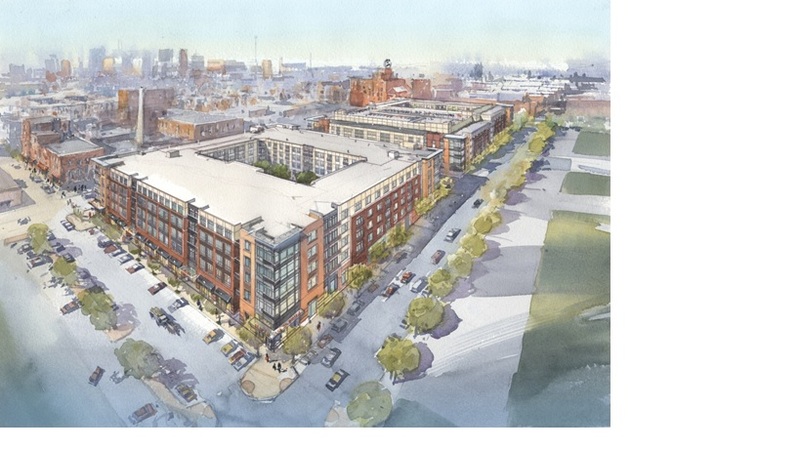 Dozens of Baltimore communities need a major shot of investment. The Red Line, and the remarkably useful regional transit network it creates, can become a ribbon of strength weaving them together. Neighborhoods along Edmondson Avenue can build on that strength, attracting homeowners and businesses. 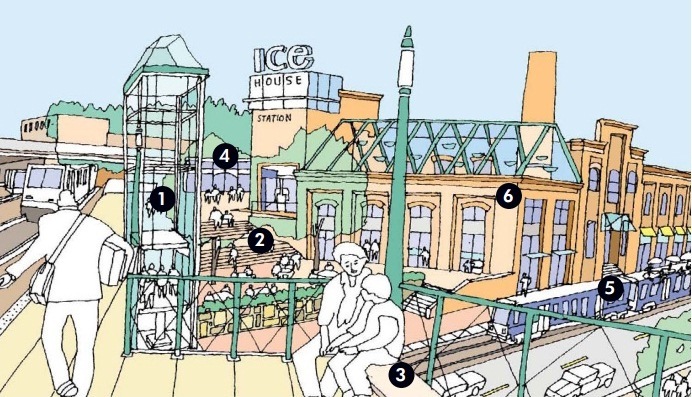 The West Baltimore MARC station can become a hub of residential, business, and transit activity. 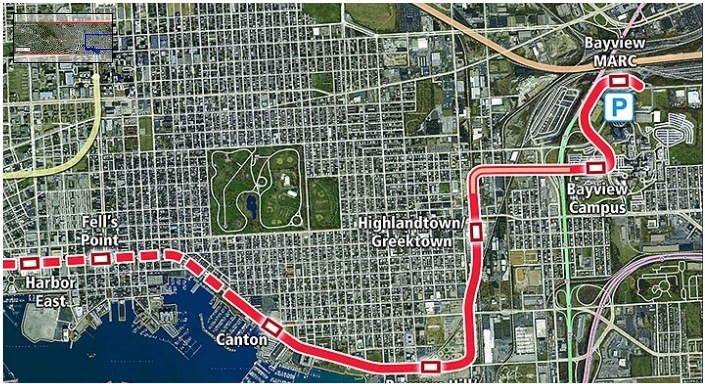 The same goes for Highlandtown and Greektown, where the Red Line has become a cornerstone in those communities’ revitalization plans. 5. Ability to get around. Last but not least, a good transit system makes the city more useful for everyone. 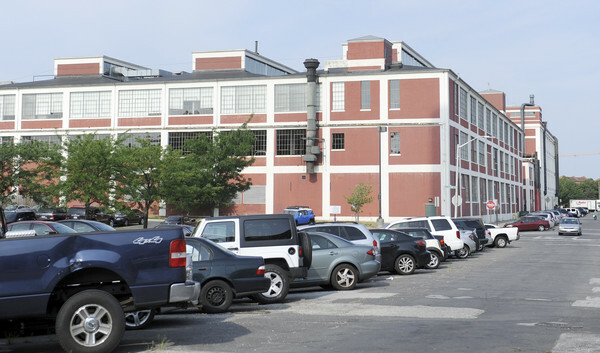 Parking-starved neighborhoods such as Fells Point and Canton are never realistically going to have a guaranteed space for every car — but the Red Line would give residents an attractive, convenient alternative to driving, as good transit has done in urban neighborhoods around the nation. Many of us who previously didn’t ride transit have begun to get a taste of its usefulness thanks to the Charm City Circulator. However, the Red Line would be a far more useful and permanent system, with regional economic importance. 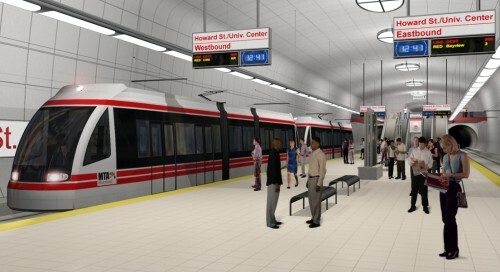 March 2013 is make-or-break time for the Red Line and other state transportation projects. Gov. 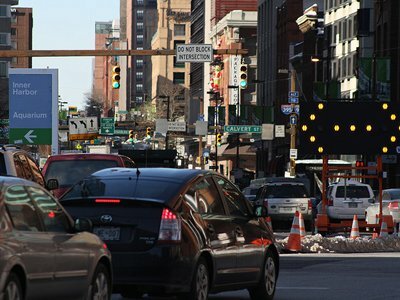 O’Malley and the General Assembly’s Democratic leaders have proposed a revenue package to pay for much-needed transportation and transit improvements in our congested state. But if our legislators from Baltimore don’t step up to secure funding for the Red Line — now — we lose a multi-billion-dollar investment in our communities and our city. If you want this investment, you need to contact your state legislators and tell them. If Baltimore does somehow fail to build the Red Line, the enormity of the opportunity lost will become apparent over time. D.C. is already eating our lunch, all the while continuing to expand its transit options. Virginia has passed major transportation funding legislation. And Montgomery and Prince George’s Counties do have the political willpower to fund and build the similar Purple Line, which will improve those communities’ economy and quality of life. If Baltimore fails where our neighbors succeed, the next generation of city residents will have a stark example of what might have been. Let’s hope they won’t look back and wonder why our city squandered the once-in-a-lifetime opportunity we have in front of us now.